There’s something so satisfying about learning a new skill. Especially when you get to take home something really cool at the end of it. 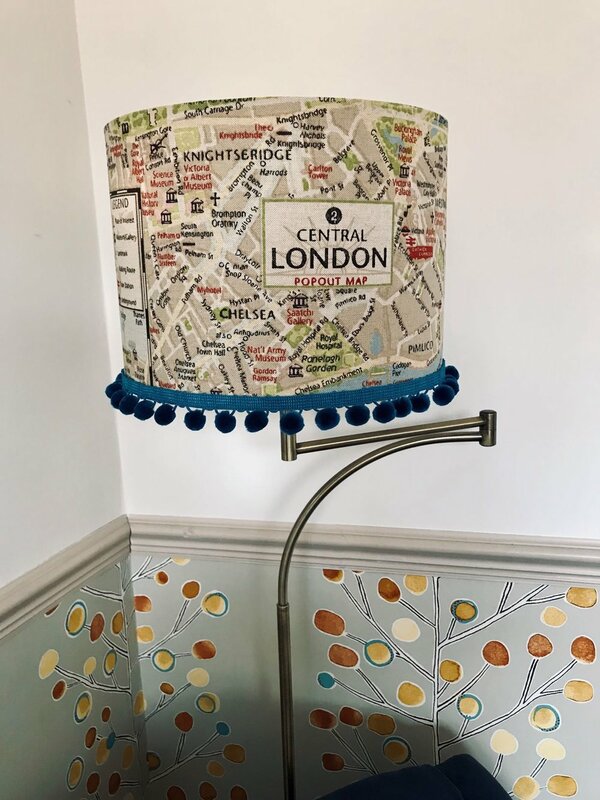 We were thrilled to go along to Joanna Corney of Lume Lighting’s lampshade-making workshop at her pretty Hove studio this weekend and learn some of her trade secrets with a group of The Simple Things readers. As well as learning the art of ‘rolling the drum’ and how not to get double-sided lamp tape stuch to one’s hair, we also bonded over the pros and cons of slubby fabrics and the divisive nature of pom-pom braid. And we had a very lovely lunch, too. Everyone created something completely different to take home to delight their families and astound their friends. Here’s Simple Things blog editor Iona Bower’s lampshade in situ. If you’d like to attend one of Joanna’s courses (she also runs a rather lovely looking fairylights workshop, we may have noticed) you can visit her website or to buy one of her own creations visit the shop. We recommend the courses though. Joanna is hiding some serious baking skills under a bushel. We’re going back for more cake, too. We’ll be running more workshops in conjunction with makers all over the country. Look out for similar upcoming events in the magazine.